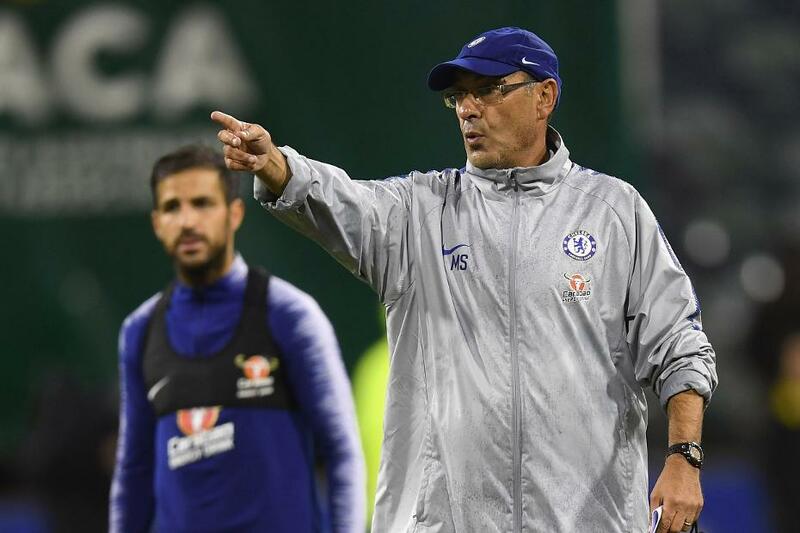 Maurizio Sarri's appointment as Chelsea head coach is major news in Fantasy Premier League. The Italian preferred an attacking 4-3-3 formation during his three years in charge of his former club Napoli. They scored 251 goals in Serie A during that period. The only Premier League team to score more in the same period were Manchester City with 257. They conceded just 29 goals and claimed 19 clean sheets last season, more than any Premier League side. Sarri has already brought in central midfielder Jorginho (£5.0m) from Napoli as his first signing. And there are likely to be other changes, in addition to new personnel. Chelsea are expected to adopt Napoli's high-pressing tactics and move away from the 3-4-2-1 formation used by previous manager Antonio Conte. That could have a particular impact on Marcos Alonso (£6.5m) and Victor Moses (£6.0m), who both flourished as wing-backs under Conte. The new head coach's approach could also have repercussions for a number of other Chelsea players. Playing on the right side of a back three in 2017/18, the Spaniard produced two goals and six assists in his most attacking FPL campaign. Azpilicueta finished last season as the top-scoring defender on 175 points. He also created 11 big chances, more than any other defender. His versatility will be vital under Sarri, with Azpilicueta also able to occupy the right-back role in a four-man defence. The youngster will look to establish himself as a regular after starring while on loan at Crystal Palace last season. Loftus-Cheek delivered attacking returns in seven of his 21 Gameweek starts for the Eagles, totalling two goals and five assists. He is owned by just 2.3 per cent of FPL managers. But if he can secure a central-midfield role alongside Jorginho and N'Golo Kante (£5.0m), a cost of just £5.5m will spark a major surge in interest. The winger remains Chelsea’s most reliable performer. Hazard missed the opening matches of last season through injury and didn’t make his first start until Gameweek 7. Yet he still went on to claim 173 points, thanks to 12 goals and six assists. Chelsea’s first-choice penalty-taker, Hazard has now produced at least 170 points in five of his six FPL seasons. However, Belgium’s progress to the last four of the 2018 FIFA World Cup means he could be eased back into action at the start of this season.